Car sharing programs appear poised to take off in a big way over the next few years if current trends are any indication. According to a new study by Navigant Research, the number of people subscribing to car-sharing services like ZipCar are expected to grow dramatically from 2.3 million this year to well over 12 million by 2020. Global revenues from such services are expected to grow from just under $1 billion today to over $6.2 billion over the same time period. Much of the interest in car sharing services is being driven by the economics of the business model. Auto sharing programs can be a substantially greater value than car rental services because they let people rent vehicles out by the hour. People who need a car only for a short period of time can save a lot of money by using a car-sharing program rather than a rental service. 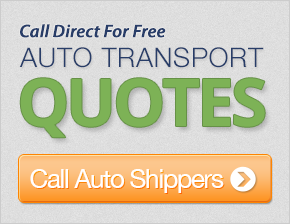 Many people who live in major cities, especially, view car share programs as a viable alternative to owning a car. 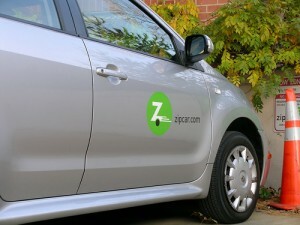 ZipCar pioneered the concept of car sharing in 2000. The Cambridge, Massachusetts-based firm currently owns about 10,000 cars and offers ZipCar services in several major U.S. cities, universities and overseas locations. People who want to use the service need to first sign up for membership by paying an annual fee of between $50 and $60. The membership entitles them to reserve a car anytime they want and for as short a time period or as long as they want to keep the car. Cars are usually parked at reserved spots or in unstaffed public parking lots. People who reserve a car are typically provided a code for unlocking the car and using it. Rental rates start at around $7.50 per hour. People who rent the car for a full day get up to to 180 free miles and then 20 miles for each additional hour. ZipCar’s success has pushed others to try to emulate it. One example is RelayRides, a San Francisco-based company that bills itself as a leader in the peer-to-peer vehicle sharing market place. Unlike ZipCar, RelayRides does not own all of the cars that it rents out. Instead, the company partners with individual vehicle owners around the country who want to make some additional money by renting their vehicles out to others on a daily basis. RelayRide then rents those cars out to people who want them on a temporary basis. Rental giants like Avis and Hertz, who stand to lose the most from car sharing services, have embraced the trend. Rather than try to compete with ZipCar, RelayRides and other car sharing companies, the auto rental firms have instead simply acquired these companies outright. Analysts see the acquisitions as an endorsement of the growing popularity of shared services overall. In addition to auto sharing services, a growing number of companies have begun offering shared home rental services as an alternative to hotels. Analysts expect the demand for such services to grow dramatically over the next few years.